Make slap bracelets for yourself and all your friends with an old tape measure that you no longer need. Slap bracelets are made of a strip of flexible, yet stiff metal that coils around your wrist when you "slap" it, or otherwise bend it. The kind of tape measure that coils up inside of an encasement and is pulled out from the end when needed is ideal for making slap bracelets, because they work the same way. 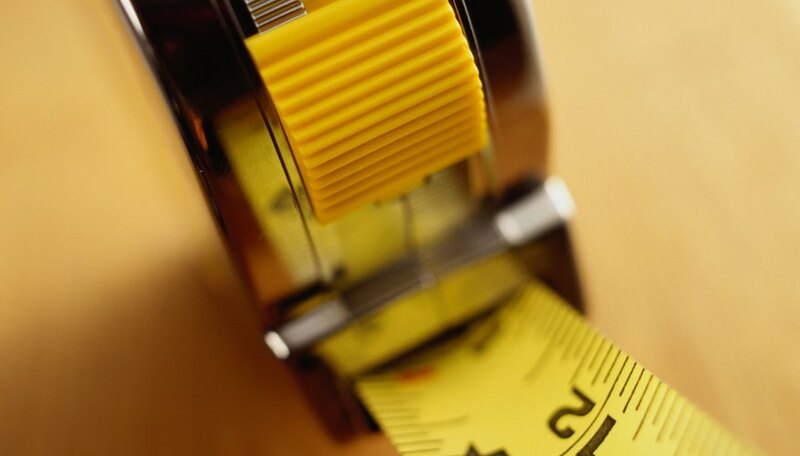 Follow a specific procedure to cut the tape measure to the correct size and finish the ends. Measure around your wrist with the tape measure and add 2 inches so the ends of the slap bracelet will overlap. The average circumference of an adult's wrist is 8 inches, so keep this in mind if you plan on making many slap bracelets at once. The average size of child's wrist is 5 to 6 inches. Pull 10 inches out of the tape measure and cut it at the 10-inch mark for an adult's slap bracelet with the 2 extra inches included. Cut the across the 10-inch mark with a pair of heavy duty scissors while holding on to the other end of the tape measure. Place a clip on the end so it doesn't roll up inside the encasement. Cut off the metal tab end of the tape measure. You will see that the section of the tape measure you cut for the bracelet is already coiling. Pull it straight. Measure and cut two pieces of black tape 1 inch long and fold them over the ends of the tape measure slap bracelet to get rid of the sharp cut edges.